Traveling is made comfortable and convenient with this Pleasure-Way Lexor FL motorhome class B! It features a kitchen that has everything you will need, from the microwave/convection oven to the 2 burner flush mount LP stove and the large undermount stainless steel sink. The wet bath is spacious enough for you to move around, and there is also a vanity with plenty of storage to hold your accessories. The swivel chairs and movable table are just a few features that make this motorhome convenient for you. The perfect way to end your night are by converting the power sofa into the queen bed and watching your favorite movie on the 24" smart LED TV with a Blu-Ray player. 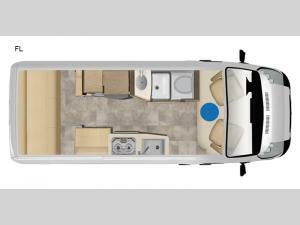 With any Pleasure-Way Lexor class B gas motorhome, space and handling is everything! The 159" wheelbase is just one feature that makes this motorhome feel more like a luxury automobile. They are built with a Ram ProMaster chassis with a Pentastar engine, disc brakes with ABS, driver and passenger air bags, and a remote keyless entry system all for your convenience and safety. 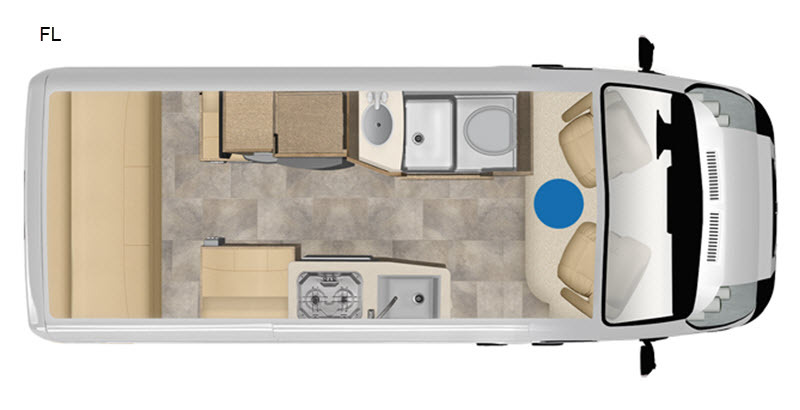 Each Lexor model supplies you with a multitude of features and options that will exceed your expectations of owning a class B motorhome. The interiors are refined and elegant with hardwood maple cabinets, comfortable Ultraleather® fabric, Corian® countertops, and LED lighting. So, come choose the Lexor class B gas motorhome by Pleasure-Way that is perfect for you.